Formerly a part of the cathedral parish, the Southport Catholic community came together in 1950 with the purchase of the vacant Southport school which then became a mission chapel for the area. 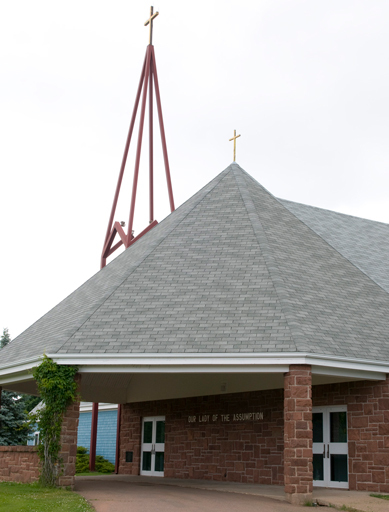 In 1963, Southport officially became a parish, dedicated to Our Lady of the Assumption with Monsignor McMahon as first pastor. A modest rectory and additions to the small church satisfied the needs of parishioners for awhile. 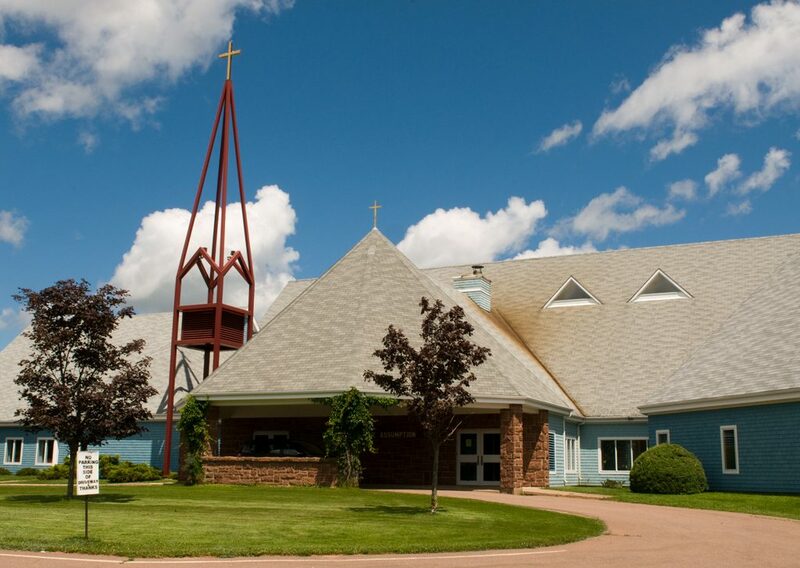 In 1989, the present beautiful church opened its doors and was blessed by Bishop James MacDonald on the Feast of the Assumption. Painted in Marian Blue, it contains a large worship area with moveable chairs, a spacious foyer, parish offices and an attached hall. In the 1990s, a new rectory was erected at the edge of the church property. In 1995, the name Southport was changed to Stratford. That year through amalgamation, it became a town with its boundaries being almost identical to those of the parish. Washed on three sides by beautiful waterways, the Assumption Parish area probably contains the Island’s choicest residential locations and scenic lookouts. The view of Charlottetown across the Hillsborough River is among its striking features. Our Lady of the Assumption is served by Pastor, Rev. Benedict Paulraj, O. Praem.